There are two main types of gifts that you can leave in your Will. This is a gift of the remainder of your estate after all other bequests have been made and any debts have been cleared. Within your Will, this is worded as a percentage. This is a gift of a fixed sum of money in your Will. The value will decrease over time, as the cost of living increases. These are the two most common types of gifts you can leave in your Will – but your solicitor can discuss other options if neither of these suit you. 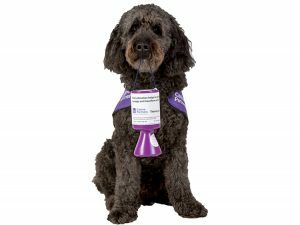 If you’re unsure of which gift type you would like to leave to Canine Partners, or have any other questions about leaving a gift in your Will, do not hesitate to contact our Legacies team by filling in the enquiry form below.